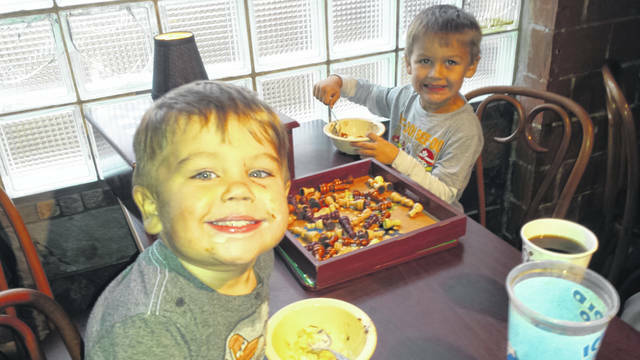 Zaydin and Kyedin Conger enjoyed the ice cream while attending the Sugartree Ministries’ open house with family members on Sunday afternoon. For more photos of the event, visit wnewsj.com. 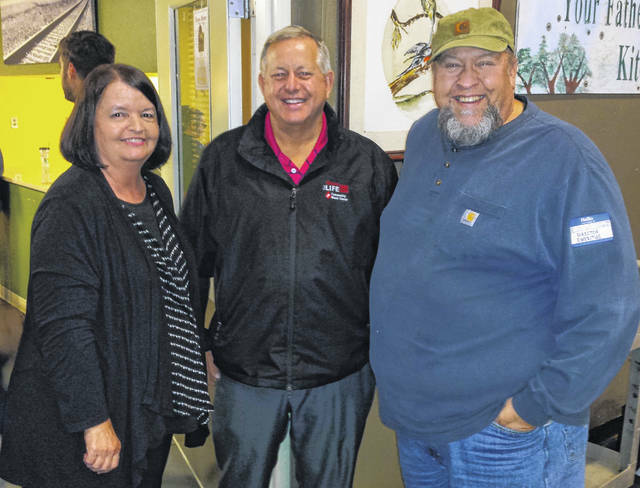 Longtime Sugartree Ministries director and now director emeritus Allen Willoughby, right, with friends Robin and Jeff Knorr. 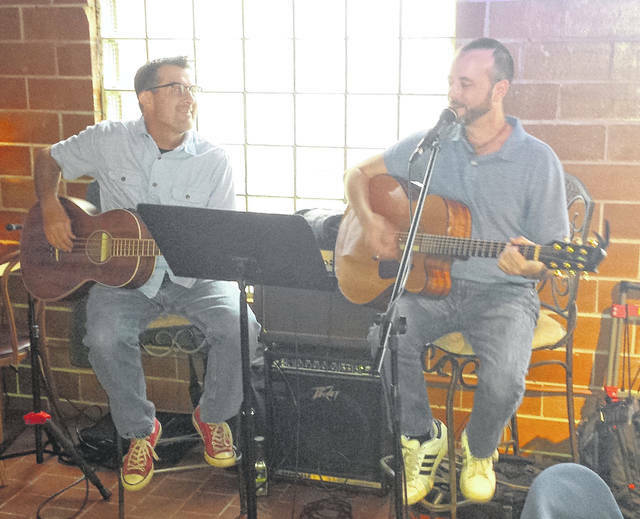 Attendees enjoy guitar performances at Joe’s Java during the open house. 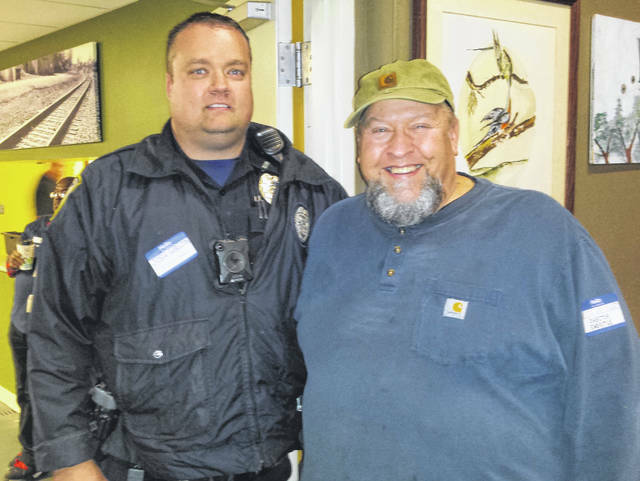 Wilmington Police Officer and Sugartree Ministries board member Josh Gibson with Sugartree Ministries director emeritus Allen Willoughby. Kids and parents alike enjoy the ice cream bar at the open house. Volunteers serve up tasty treats at the open house. 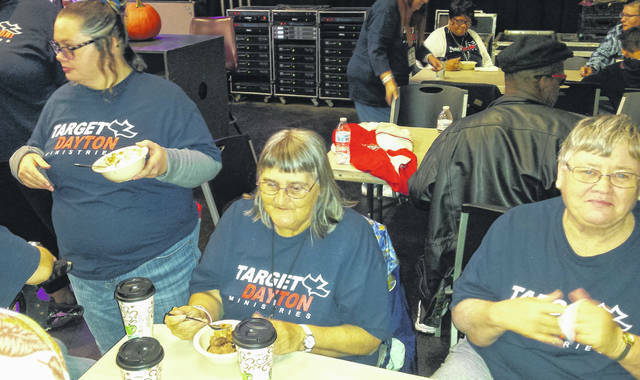 Members of Target Dayton Ministries enjoy some ice cram prior to their spirited performance. The Target Dayton Ministries Choir gave an enthusiastic performance. 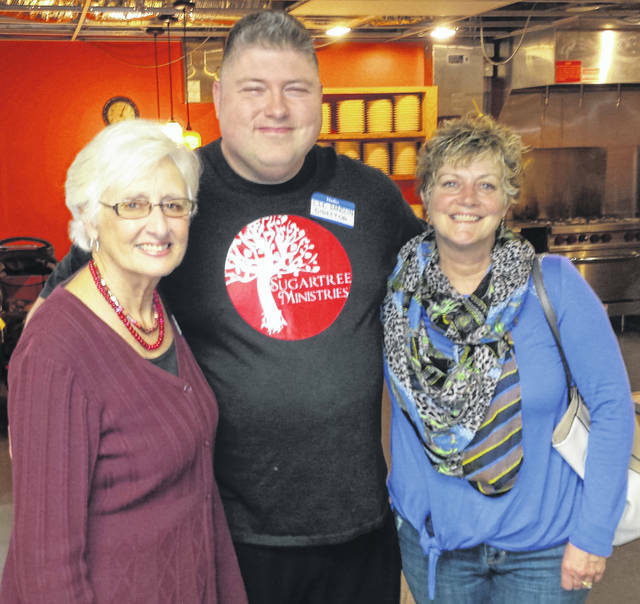 Sugartree Ministries Director Lee Sandlin with board member Nancy Miller, left, and Cindy May. 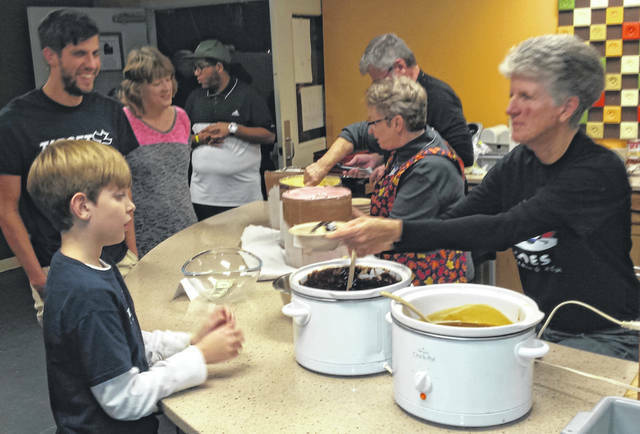 WILMINGTON — Sugartree Ministries — including Your Father’s Kitchen and Joe’s Java — held a busy open house for the community late Sunday afternoon at 180 E. Main St.in Wilmington. 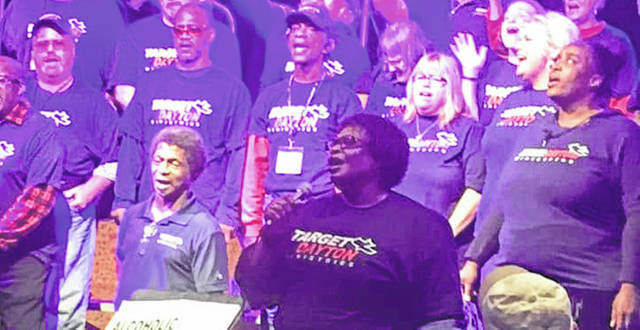 The event included everything from worship to a free ice cream bar for attendees to a performance by the Target Dayton Ministries Choir, an organization which ministers to the poor and homeless in Dayton. Sugartree Ministries provides meals and meets the physical as well as spiritual needs of the Wilmington area, including holding 12-step recovery meetings and operating a men’s emergency shelter. 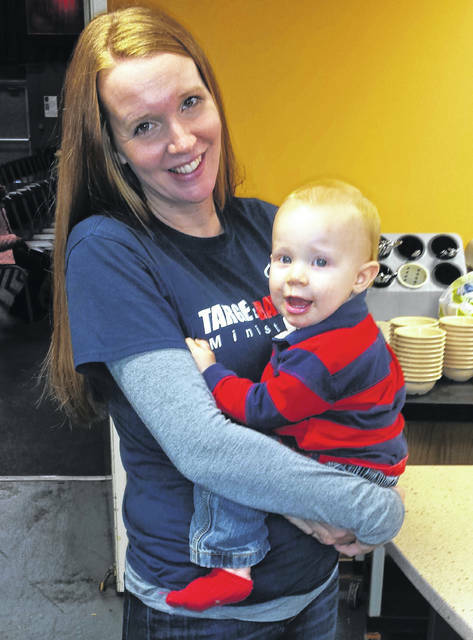 In the past year, the organization has provided over 18,500 meals and groceries to over 5,700 families; provided transportation to jobs/interviews and medical facilities; provided clothing and blankets to those in need; helped men and women find Jesus and stay clean and sober; and provided for homeless men, among other services to the community.